I remain fixated on marble as it sweeps through the British high streets like a gust of, albeit stylish, Autumnal wind. 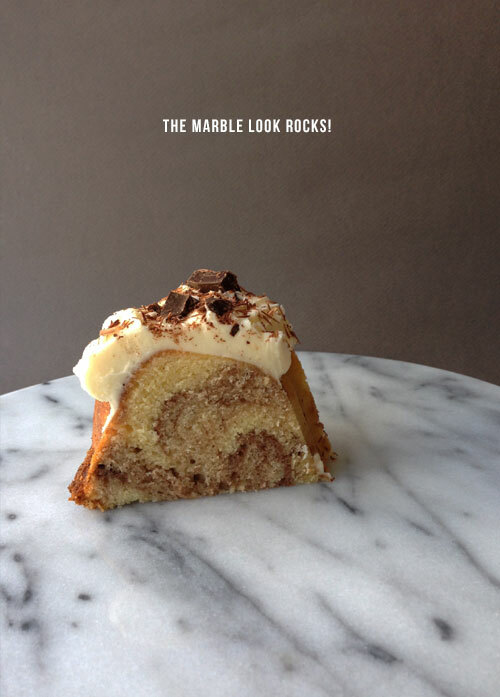 The 'look' as we've already seen in my Heavenly Marble feature, is generally cool and sensual but this is not the case with my marble cake and it's warming free forming swirls of light and dark sponge. This is also a great example of how many trends don't just begin and end in one area of the creative world, they morph and evolve through fashion, interiors and food - Amen to that! I actually put together this fashion conscious bake to celebrate my sister, her husband, my adorable two year old niece, and not forgetting Nellie the sheep dog, visiting the cottage last weekend. 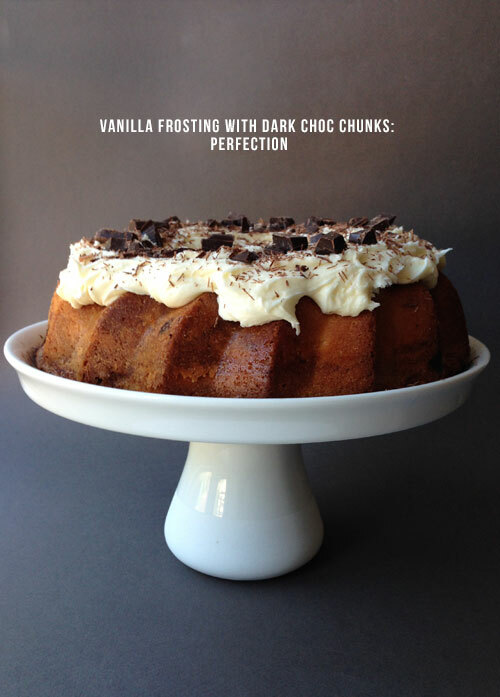 The sponge was light and springy to the touch (just how I like it) and the combination of the vanilla frosting fused with the dark chocolate chunks, really made it an indulgent treat. You'll also need a 25cm ring mould for the cake! Preheat the oven to 170oC. Place the sugar and butter into a bowl and mix using an electric mixer, adding the eggs gradually. Then add the flour and baking powder to the mix until it's of a light and fluffy consistency. Carefully add the cocoa powder to the mixture and use a fork to swirl the cocoa into the mixture - you decide how much you want to mix but be careful of over mixing and losing the marble-effect. Place in the oven for approximately 35 minutes. 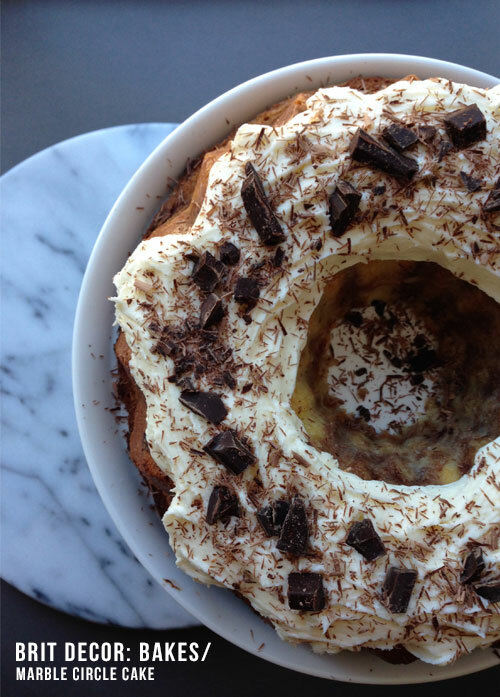 Once the cake has cooled, whisk together the icing sugar, vanilla extract, butter and milk to make the frosting. Then chop or crunch some dark chocolate pieces. Use a spoon or spatula to spread the frosting onto the top of the cake and finally, sprinkle the chocolate pieces over the top. Wishing you all a huge dose of Friday love, all the way from Rome!